5G-Xcast is proud to announce that deliverable D3.2 on Air Interface is now released and can be downloaded from this link. 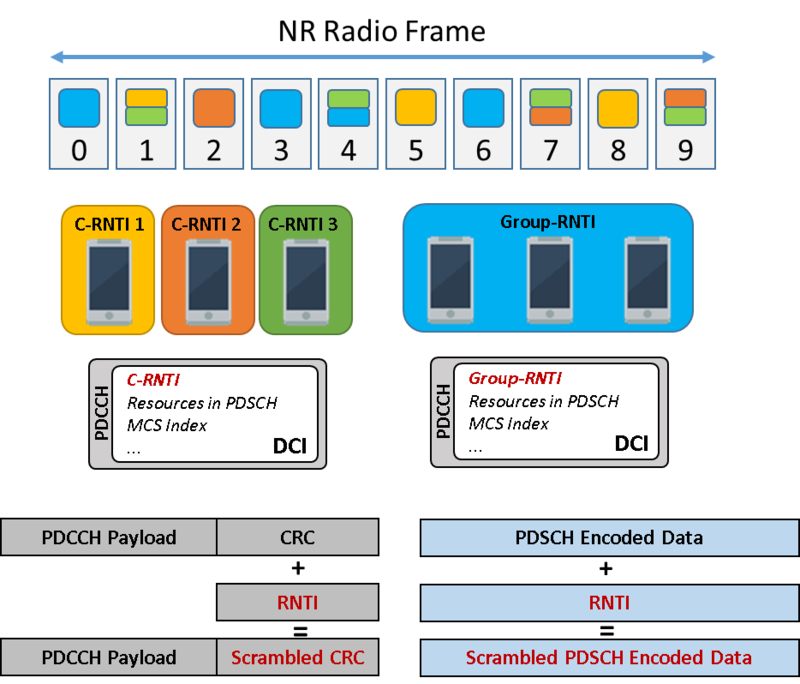 This report investigates the 3GPP Release’15 (Rel’15) of 5G New Radio (NR), and extends the air interface to point-to-multipoint (PTM) communications. Two specific 5G PTM technologies are proposed in order to fulfil the different 3GPP requirements needed for broadcast and multicast, as well as those derived from the 5G-Xcast use cases defined in Deliverable D2.1. These technologies are the Mixed Mode and the Terrestrial Broadcast Mode. 5G-Xcast partners have been contributing to the 3GPP Rel’16 discussions in order to detect missing functionalities that are needed to fulfill the agreed PTM requirements. The 5G-Xcast Mixed Mode enables a dynamic and seamless switching between Point-to-Point (PTP) and PTM transmissions both in the downlink and the uplink. This solution is envisaged for the different verticals of the 5G-Xcast project, i.e. media and entertainment, automotive, internet of things (IoT) and public warning. It reuses the NR Rel’15 air interface specification as much as possible to ensure the maximum compatibility with PTP. However, some modifications are included such as the discovery of the scheduling information to a group of users is enabled by the introduction of a Group Radio Network Identifier (G-RNTI), and a multiple cell coordination that is enabled by forcing the same cell scrambling sequence to the neighbouring Next Generation NodeBs (gNB). Negative numerologies as well as the concept of mini-slots are also included to support SFN areas and larger deployments. The 5G-Xcast Terrestrial Broadcast Mode enables the reception of the service to users without uplink capabilities, i.e. being a downlink-only mode. One of its design principles is the transmission over large coverage areas in order to enable the media delivery through deployments including High-Power High-Tower (HPHT) network configurations. To make this possible, a new physical channel has been defined. It includes new cyclic-prefix values and reference signals, as well as a Cell Acquisition Subframe (CAS) and a very narrow carrier spacing (even more than those provided in the Mixed Mode) in the frame structure to allow very large Inter-Site Distances (ISDs) in Single Frequency Networks (SFNs), as required by the 3GPP requirements. This deliverable also provides an evaluation of the 5G NR Rel’15 unicast specifications against specific Key Performance Indicators (KPIs), as defined in the IMT-2020 guidelines. It includes analysis, inspection and link-level simulations. In addition, the two 5G-Xcast PTM solutions are evaluated in order to demonstrate the more efficient use of the radio resources and their advantages over PTP for the scenarios considered in 5G-Xcast.